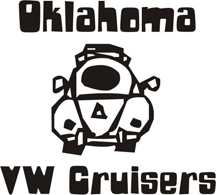 Hello.recently applied for membership....am buying a '68 karmann any day now..inspired by your car show in Yukon...I have owned a '68 beetle,'73 super beetle, '68 bus, 73 bus, and '81 Scirocco.. Welcome, be careful VW's is an addiction! !